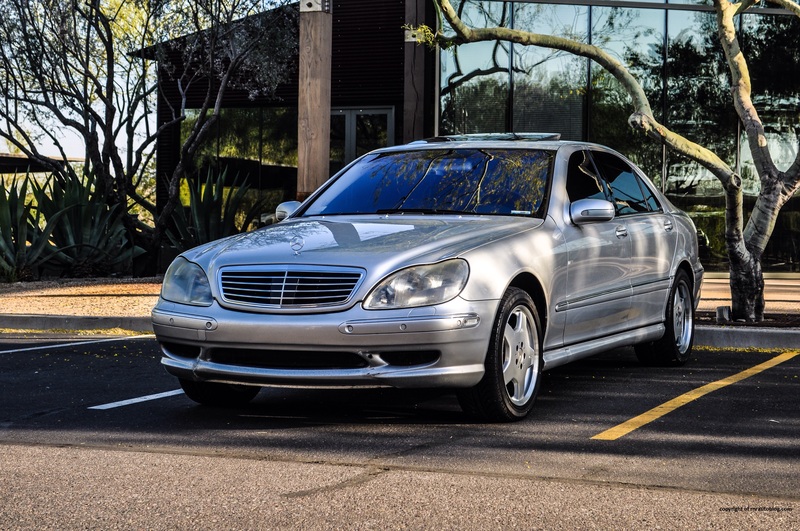 The Mercedes-Benz S-Class has a long history that starts with the first generation debuting in 1972. This generation, dubbed the W112 (Mercedes-Benz used specific chassis names such as this to denote its models), was the first to be officially called the S-Class. 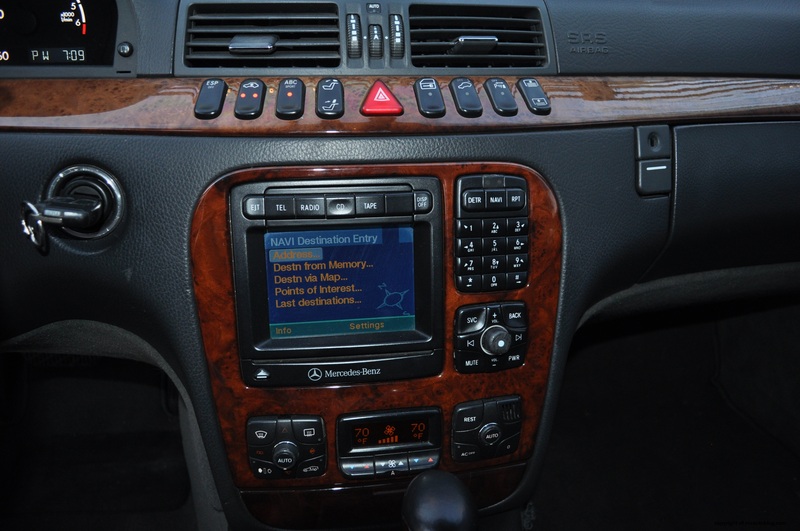 As the flagship, the S-Class was loaded with innovative technologies. For instance, the car was styled for safety purposes, and boasted ground breaking safety technology such as headrests that isolated the pressure exerted on the occupants’ heads during a crash, safety padding on the dash, a rain water system that improved visibility towards the rear during rain storms, etc. Two more generations followed with the same focus on innovative technologies while gaining size and fame. 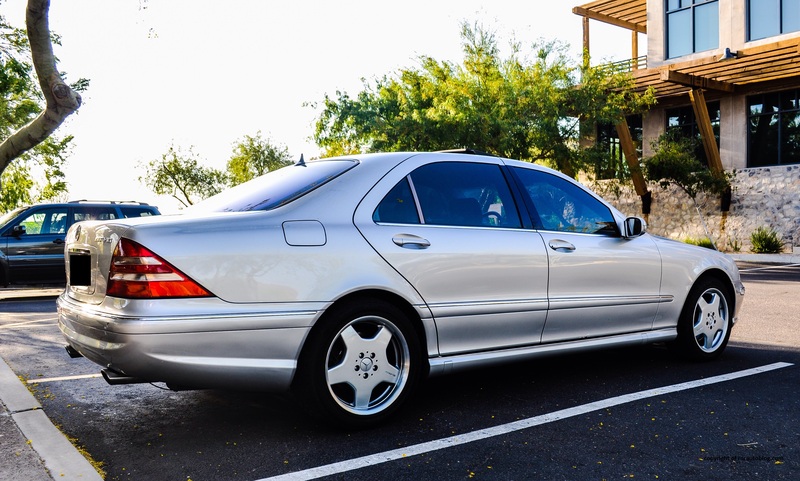 This 1999-2005 “W220” generation was the first to receive an official AMG model. As a performance division, AMG got its start as an independent tuning firm for Mercedes-Benz vehicles. Then in the 1990s, Mercedes-Benz took a controlling stake in AMG, and then in 2005, ultimately purchased the performance division as its own. AMG variants feature cosmetic and performance upgrades over the lesser models. 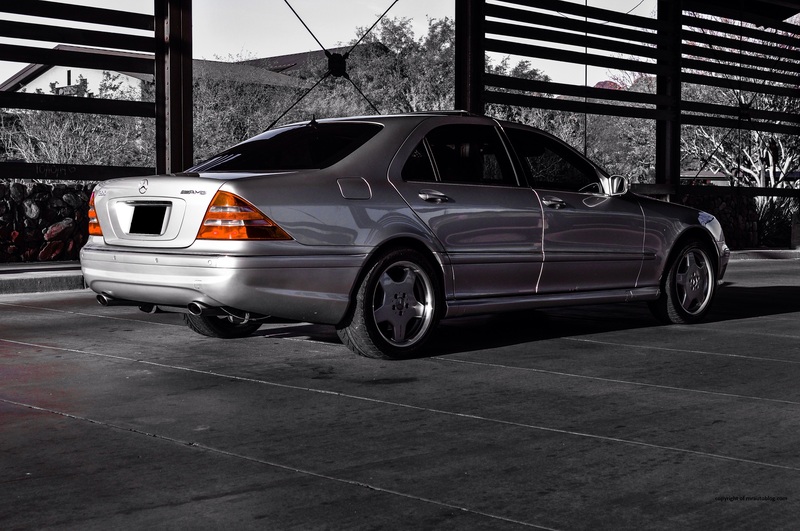 Historically, S-Classes have always been the first of any Mercedes-Benz model to incorporate its latest design theme. 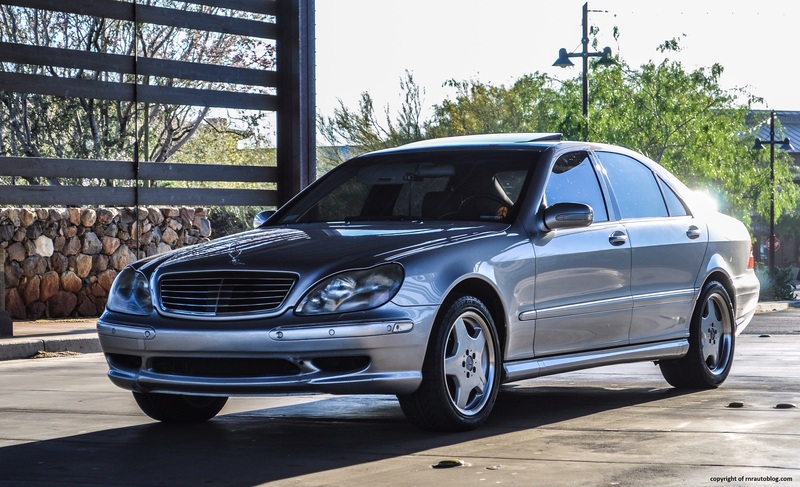 Not so in this S-Class, as the 1997 A-Class had the honor of the first model to implement the then new Mercedes-Benz design theme. 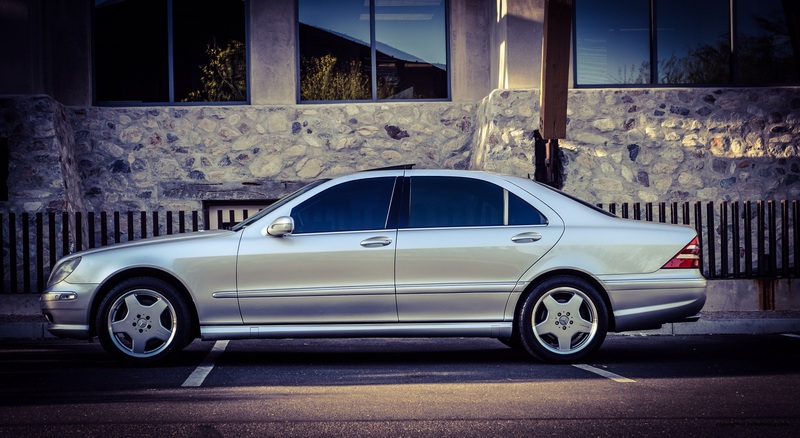 In contrast to its predecessors’ boxy and uniform lines, the S-Class places emphasis on modern and elegant lines. 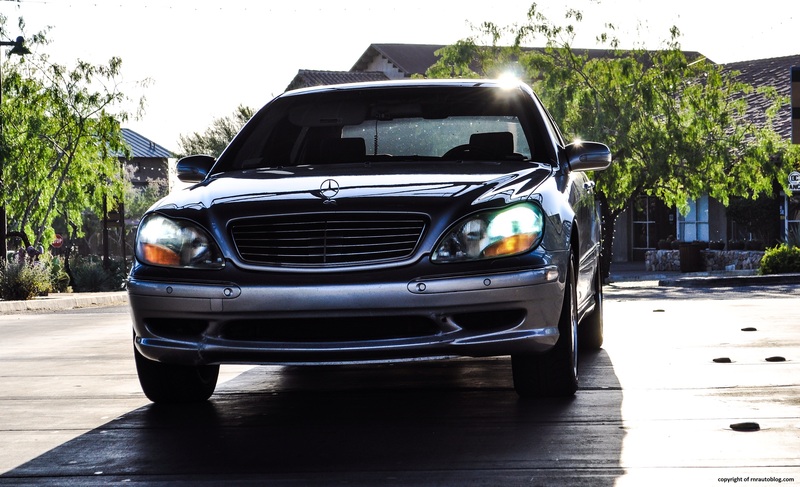 Up front, it is unmistakeably a Mercedes-Benz as evidenced by the prominent emblem and the grille. Stylish headlights and a bumper design with mesh inserts give it a refined appearance. The side profile features a raked windshield and a flowing and smooth roofline. There is a subtle character line that starts from the door mirror and ends at the trunk. The rear is elegant and the exhausts are well done. The taillights are distinctive, and blends seamlessly with the design. 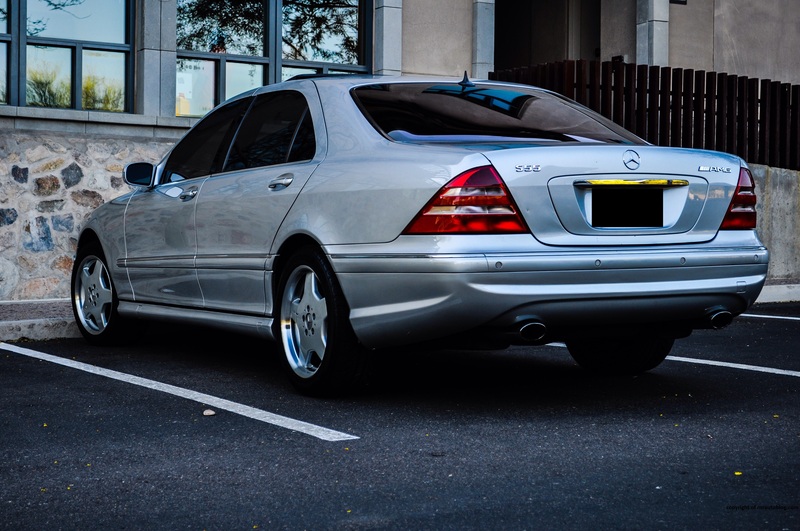 What I like about this car is that even though it is an AMG, it does not overdo it with the sporty touches . The AMG touches include upgraded bumpers, wheels, and AMG badging. The interior is dark, but the wood trim helps liven it up a bit. Overall, it is a stylish sedan inside and out. As far as handling goes, the S55 AMG is very capable. 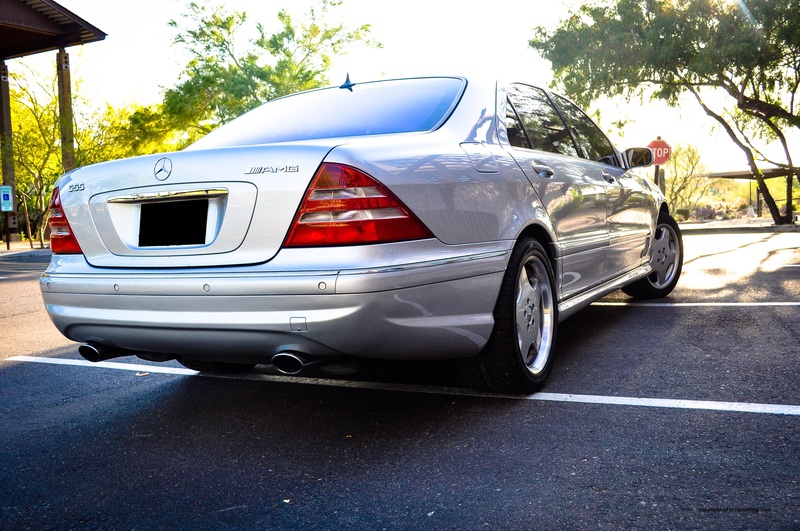 One of the technologies that this S-Class was renowned for was its “Airmatic” suspension. Press a button to lower the car, and it enables you to feel closer to the ground. But even more effective is the ABC Sport (Active Body Control) button. What it does is stiffen up the suspension, and the difference is apparent. Body control is acceptable given the S55’s emphasis on comfort, but with ABC enabled, it hunkers down, and it feels much more agile and easier to pilot through corners. This is a big car, but the S55 hides its bulk well, with eager responses. The only thing that detracts from the driving experience is the steering. While well weighted, the steering feels distant with no feedback through the wheel. It feels a tad aloof. 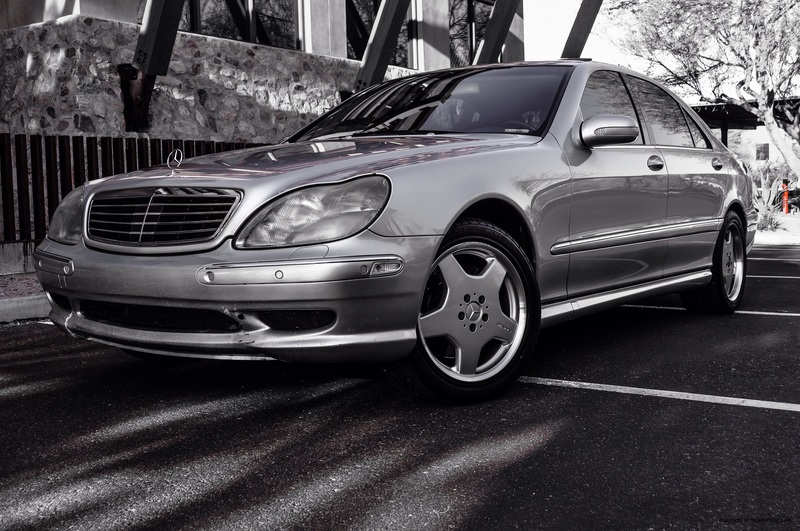 As for the ride, the S55 excels in this regard. It is supreme, with the suspension working hard to shield the occupants from any road imperfections. You literally cannot feel a thing, and dare I say, it is like riding on a cloud. 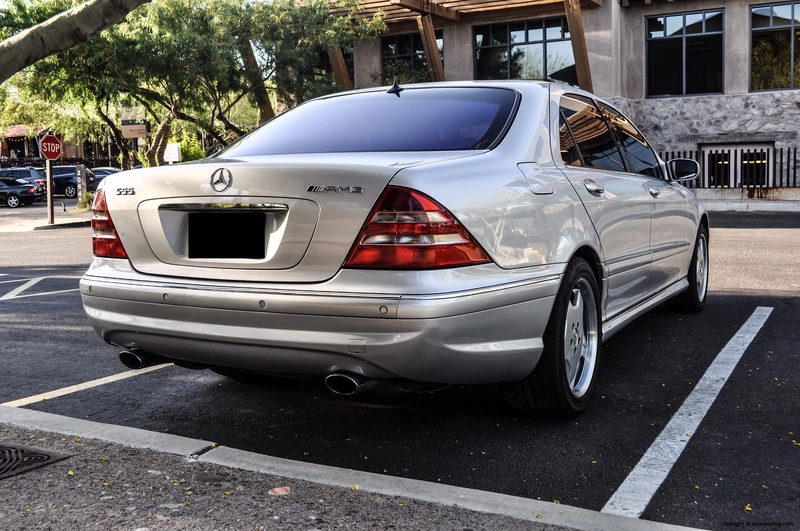 This S-Class was available in S430, S500, S55, and S600 versions in 2001. While the S430 and S500 make do with a 275 horsepower 4.3 liter V8 and 302 5.0 liter V8, the S55 gains a 5.4 liter V8. At 354 horsepower (this car has an upgraded engine chip so it has more horsepower than 354). The V8’s sweet spot is between 2,000 and 4,000 rpm where it delivers an impressive grunt. But the V8 feels strong regardless of engine speed. Floor it, and it provides head snapping acceleration, and the V8 feels like it will keep charging the mountain. Sure the latest S550 has 380 horsepower, but there is a ferocious element to the V8’s performance. The five speed automatic shifts smoothly most of the time. The manumatic function works very well. True of a Mercedes-Benz, fit and finish is immaculate. There is fastidious attention to detail, and soft touch surfaces adorn the cabin. The doors close with an assuring thunk, and the controls have a solid feel to them. However, the controls are complicated. After a while, they become intuitive once you know what they do. The navigation system works fine, except I hate that it shortens words. For example, “destination” becomes “Destn”. 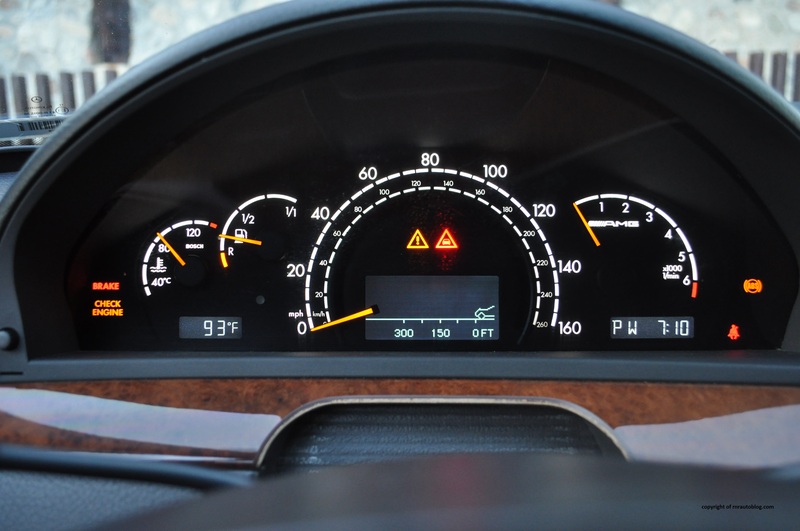 The gauges are a paragon of simplicity and elegance. The cabin provides sufficient legroom and headroom, and the seats are superb. There are numerous settings for the seat which aids you finding a comfortable position, and the massaging function works great. I’ll have to admit, the seat was a tad complicated due to the abundance of adjustment options. The S55 is more technologically advanced than many cars today, so I could not help but ooh and ahh in amazement. The doors self close. If you don’t close them properly, they close themselves. 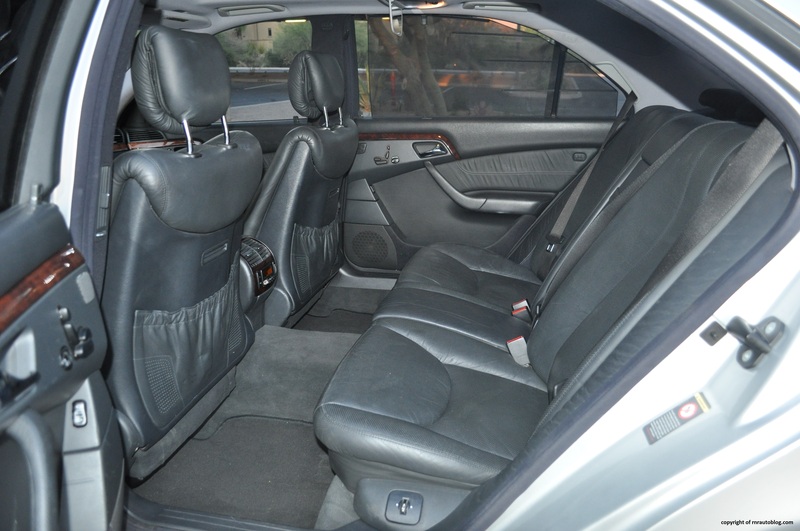 The rear seat is roomy, and the rear seats recline. I could definitely see myself luxuriating on a long trip, provided I have a chauffeur. The trunk is huge, and the cabin storage is decent. There is a bin under the driver’s seat that can be used to store items, a nice touch. Honestly, when I received the chance to review a S55 AMG, I was not expecting much. I knew that the S-Class is an excellent luxury car, but I expected nothing more than that. This car surprised me with its competence. More than that, it’s an actual sleeper. A sleeper is a car that looks like any other car, but it drives or handles like no other. This looks like just any other S-Class (not a bad thing) but the driving experience is unique to the S55. It contains two personalities. Compromise is not in the S55’s vocabulary. Just because you crave power does not mean you have to sacrifice comfort. But more than that, it feels like a real Mercedes-Benz. Sure, it has flaws, but they make it feel human. Flaws create character. That is why I don’t mind reviewing cars with dents/scratches or drawbacks, because they add character. And character outweighs all the negatives. 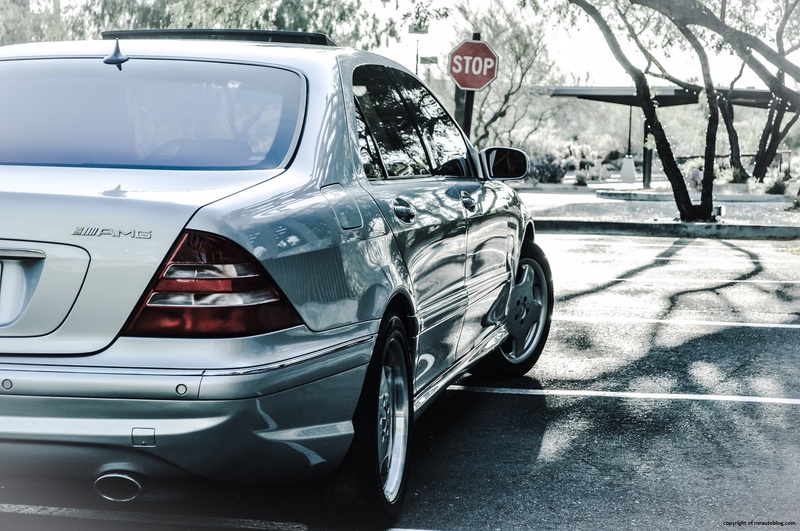 Simply put, the S55 AMG is a fine automobile. Really enjoyed reading the review and wow… *love* the pictures. I’m curious from the pictures if you’d happen to be in the Phoenix area? Thanks! And no, not from Phoenix, but you’re close. I also enjoyed reading your review. I purchased a 01 several months and its been a pleasure. Interested in finding out how this big boy handles in the snow. The styling is classic nothing more needed to be added to make this a true head turner. This is a great article! 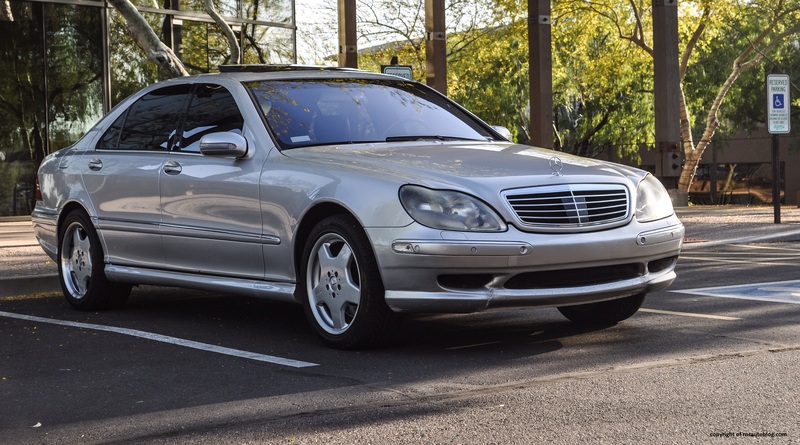 The W220/C215 is a great car, and can be very dependable contrary to popular opinion. Just a quick correction, though. I think you meant the W116 was the first car formally called the S Class. The W112 was a a pre-S Class car from the early 60s.